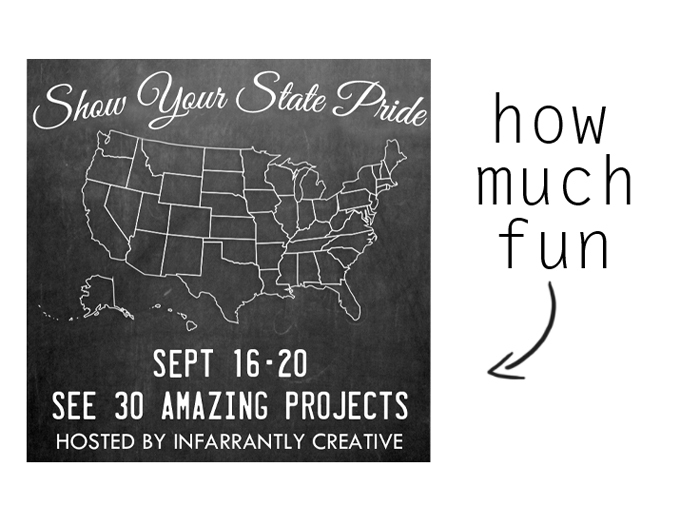 The rest of this week a few crafty bloggers are joining together with Infarrently Creative’s “Show Your State Pride” tour to conquer the world, or just every state. Each day there will be a handful of us sharing something special about our STATE! 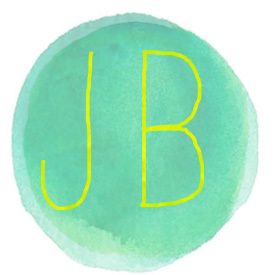 Make sure to check out Infarrently Creative’s blog on Monday the 23rd for a ridiculously huge link party! 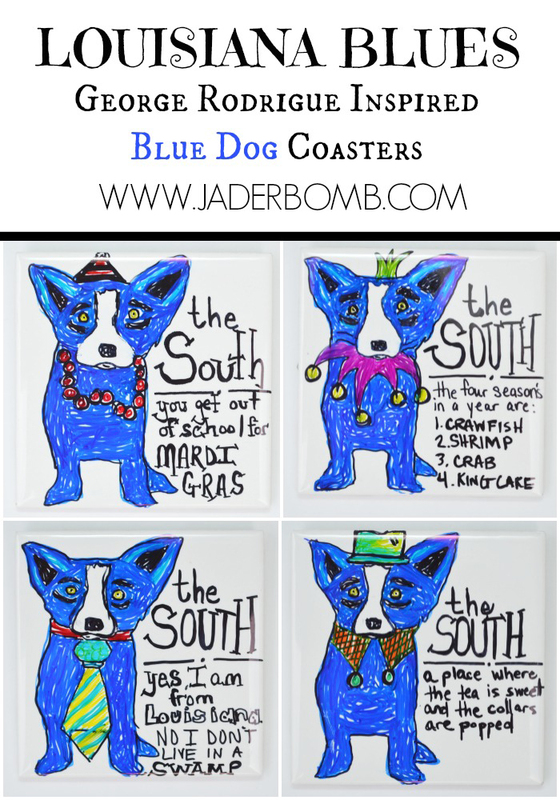 Since I am from the crunk state of LOUISIANA I figured I would add a little FINE ART with FOLK ART. These are not for sale! This is completely an inpiration post and it is illegal to sell anything with the blue dog in it! 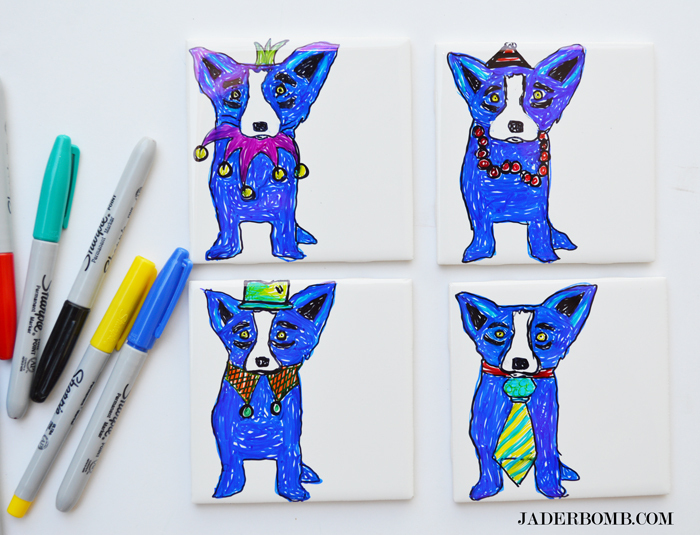 My main goal is to show you how to draw on tiles using Sharpies! I was born and raised in good ole Louisiana. I have traveled to many places throughout my years but I have to be honest, nothing compares to Louisiana. It’s truly like another planet when I compare it to other places. Louisiana is known for many things. One of the hot spots is New Orleans and everyone knows about Mardi Gras! I live close enough that I can hop in my car and hang out for the day then come on home! Our culture is filled with Mardi Gras, jazz music, crawfish, the Saints, great museums, people dancing at every nook and cranny, food cooking in any home you go to at any time of the day, where everyone is called “sha & baby”, George Rodgrigue, big swamps, Bourbon Street, strong drinks,and strangers who give hugs instead of looking at the ground. I am a proud girl from this quirky state. I hope you enjoy this fun tutorial! Here is little snippet of George. He is great and I love him. Here are some other fun facts about Louisiana. 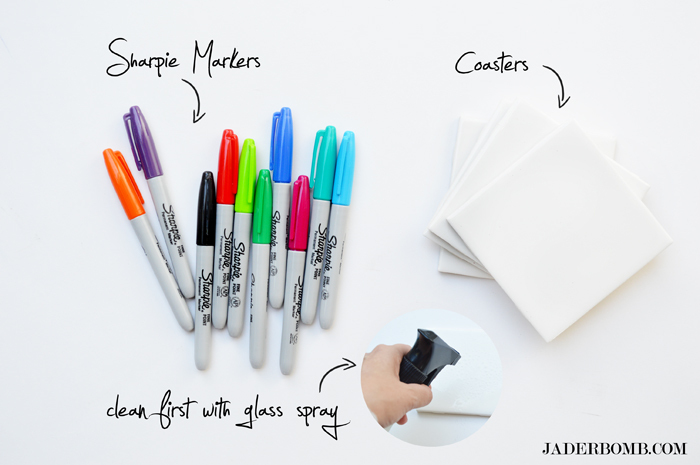 I love making sharpie coasters. They are really easy and so much fun! To make them look more like folk art I added a few fun quotes to them. When you start clean your tile with glass cleaner then draw away. When you are completely done with your OWN coasters place them in an oven that is not heated. Place oven on 350 degrees and leave them in there for 30 minutes. When the 30 minutes is up do NOT take them out of the oven. Just like we heated them up slowly we have to allow them to cool down slowly. 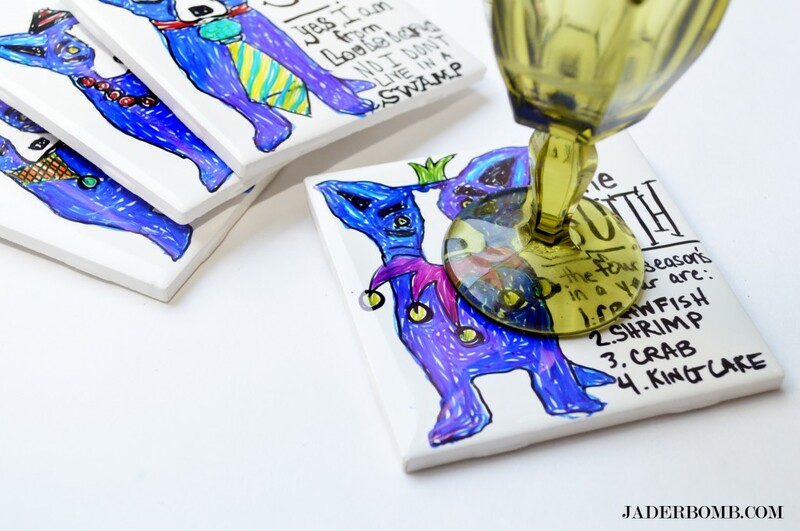 This last step will marry the sharpie with the tile and your image should be on for good. Now, I have to admit lot’s of people say this is dishwasher safe but I have no idea because I don’t have one! I would hand wash them anyway! I sure hope you enjoyed this tutorial and learning a little bit about my great state. 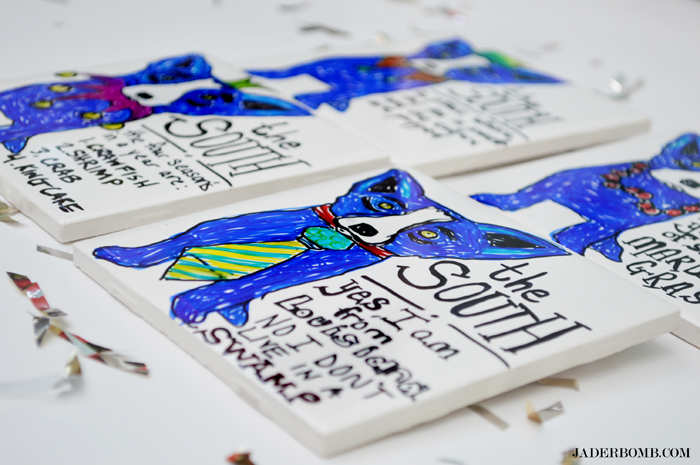 Please do not replicate the blue dog and try to sell as you can get into a lot of trouble! Make sure to make your way to Tricia @ Simplicity in the South . What a perfect ending to my post right! 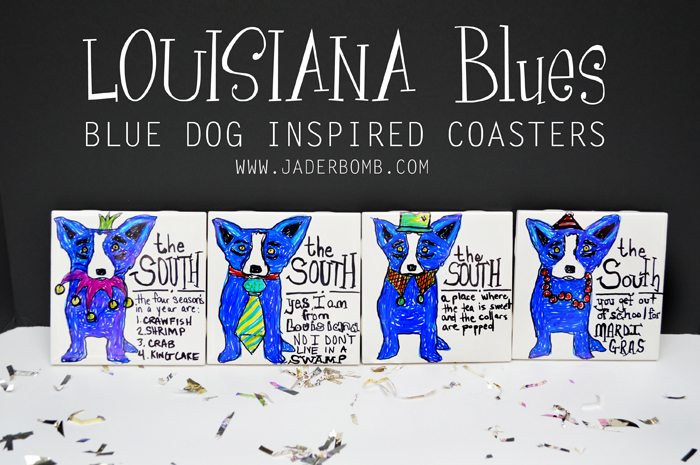 Love Love Love your Blue Dog coasters! Was going thru all of the cool state projects and had to stop in, I am a Louisiana gal, too! Sort of…I in Shreveport, lol. Love these, Jade!! This idea would be great for so many occasions.